The Waterside Inn is pleased to welcome the newest addition to our amazing team, Group Sales Manager, Carolyn Halliday! 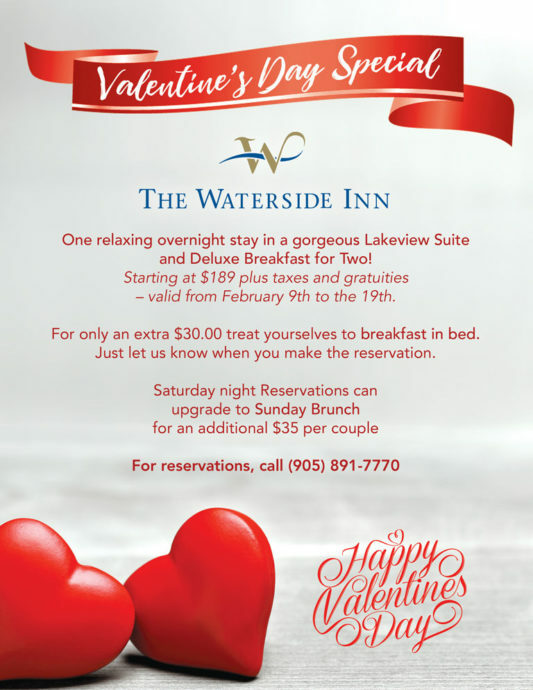 We are happy to announce our latest wonderful addition to The Waterside Inn Sales Team. 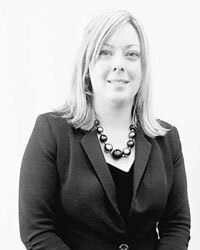 With over 14 years of experience in the Hospitality industry, Carolyn is an engaging sales oriented professional. Carolyn started her career in food and beverage and front office operations, moving into sales and catering later to the position of Sales Manager. Her passion transitioned to group sales, continuing strong work ethics and practicing the truth of warm hospitality! Carolyn’s journey started as a proud graduate of the Georgian College Hotel & Resort Administration program, and she is currently enrolled in the Greater Toronto Hotel Association Hotel Leadership program in partnership with Humber College because she has a passion for hospitality industry knowledge. Carolyn is proud to have worked with various brands of hotels including Holiday Inn (full service and Express brands), Hilton, and Radisson. 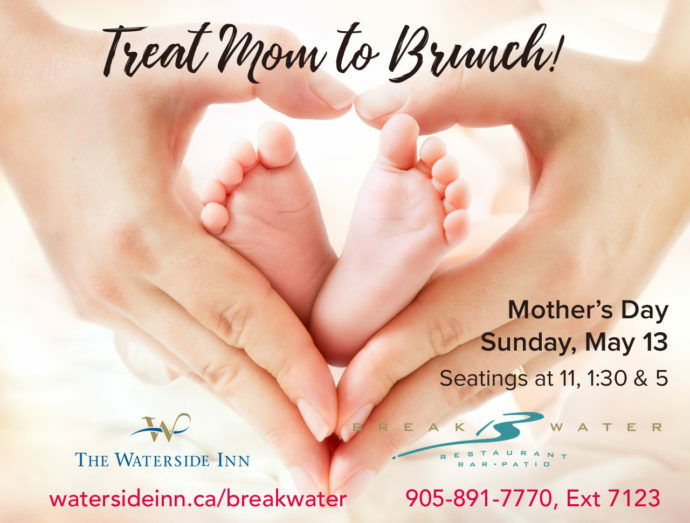 She is excited to announce her current appointment to Group Sales Manager at the beautiful Waterside Inn, Port Credit. 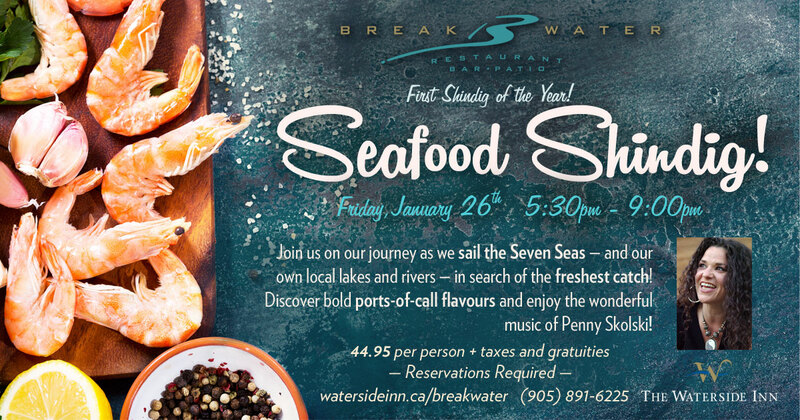 Our First Seafood Shindig of 2018! 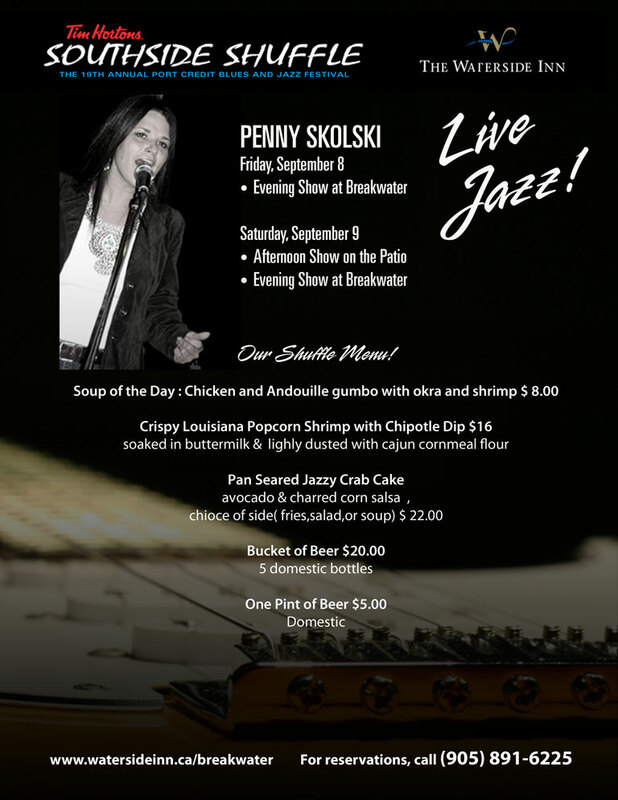 CHECK OUT THE MENU ON OUR BREAKWATER PAGE! 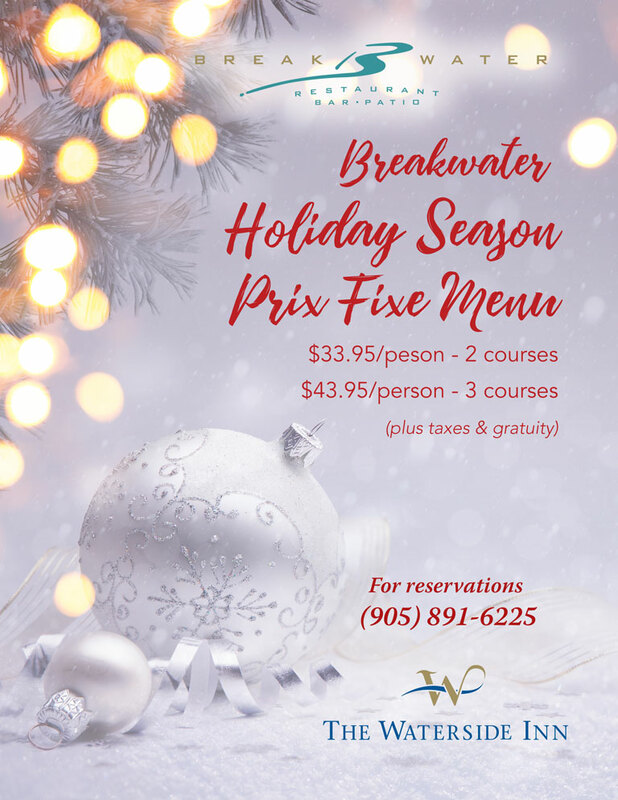 Enjoy Our Holiday Prix Fixe! A lovely way to take a break from a busy day of shopping or just a new way to celebrate the season! 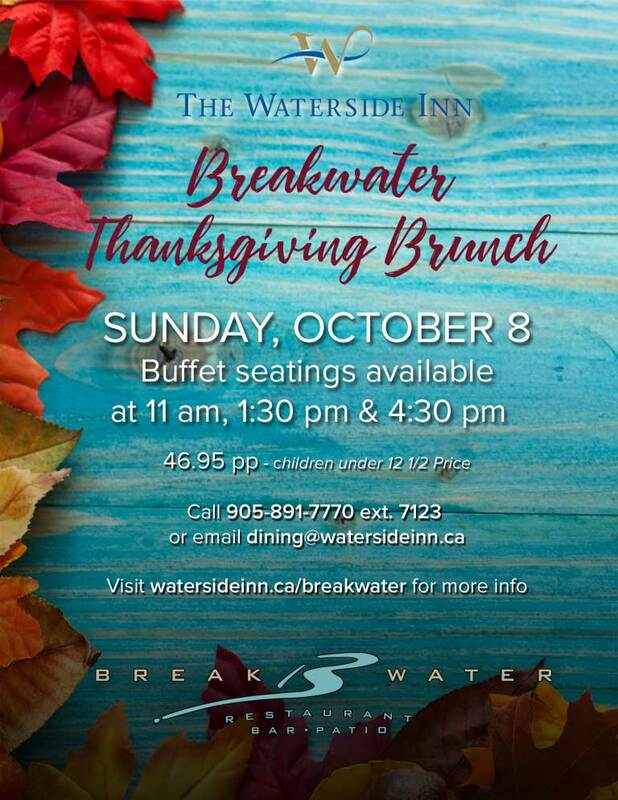 Unfortunately, our Breakwater Event on October 27 is cancelled, but Breakwater Restaurant still provides a cozy corner to while away an autumn evening. 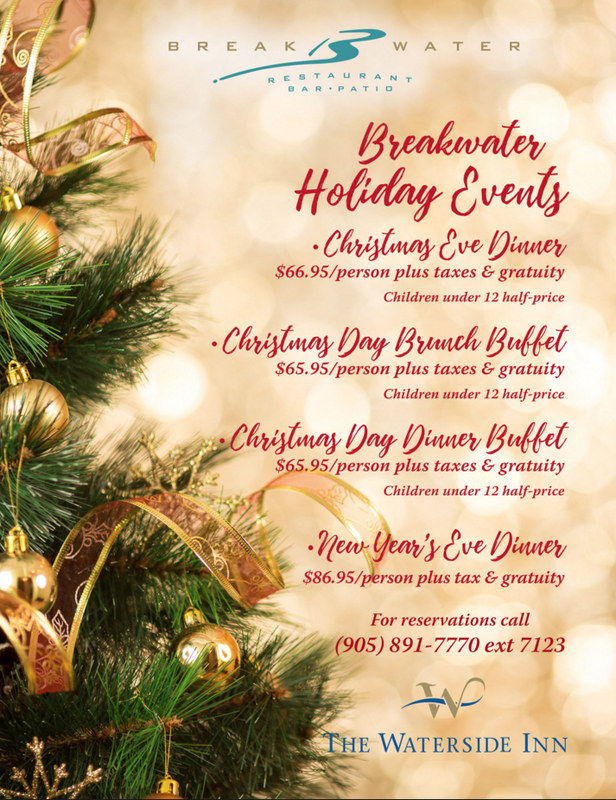 Enjoy a wonderful Breakwater Brunch this Thanksgiving! 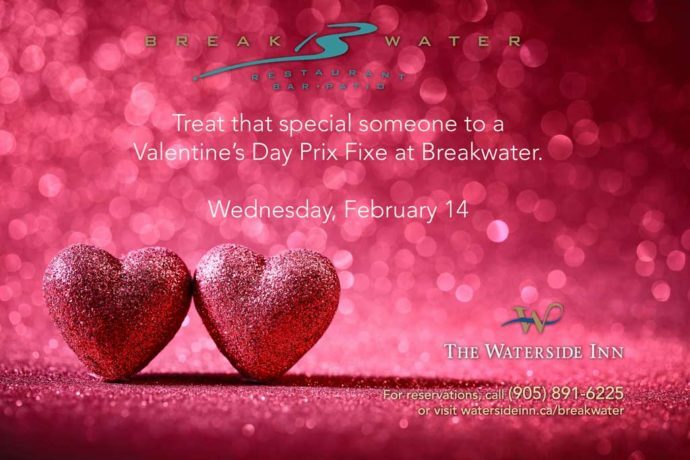 Buffet seatings at 11am, 1:30 pm and 4:30 pm – only 46.95 per person (children under 12 half-price!). 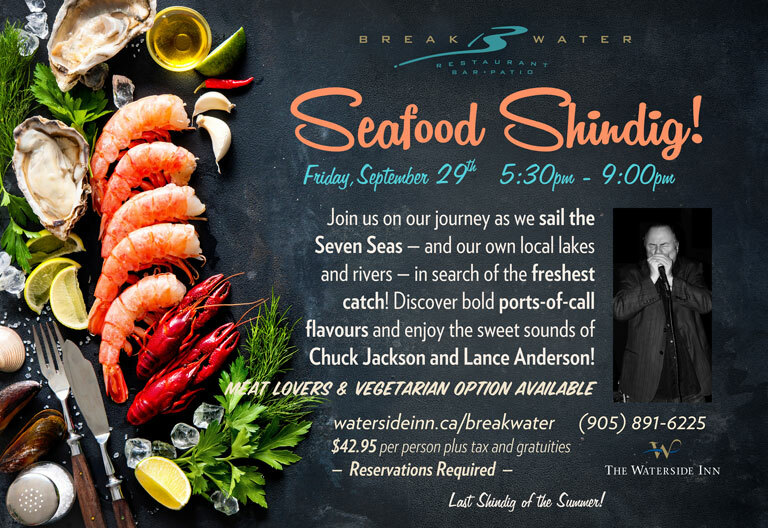 We’re spicing things up at Breakwater Restaurant: the last Friday of each month from June to September — it’s the Seafood Shindig! 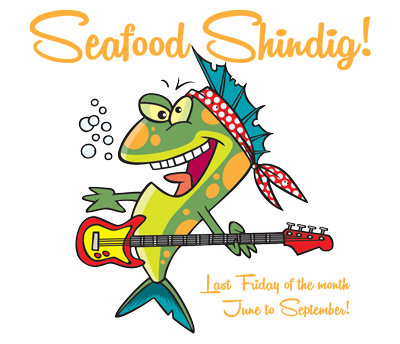 Our last Seafood Shindig is Friday, September 29th – see you there!